Looking for all weather activities for the Gold Coast? Even when it is raining in paradise there is still plenty to do. Don't let a bit of bad weather put you off or dampen your holiday spirits. Go on get out there and try something different! This is one of those ideas pages. The rest is up to you! I've highlighted the attractions around the Gold Coast that are suitable in most weather conditions. I have a separate page for all weather activities in Surfers Paradise as there are many indoor attractions either in or close to Surfers. Another great source of things to do when it is raining is the rainy day activities guide which will point you in the direction of other things to do on wet days. Consider this somewhere to start if you are looking for some all weather attractions. I am sure you can find more, but this should give you the idea of what to do if you don't want to get rained on, or if you are looking for a bit of respite from the heat and humidity! Most of these activities are only for the BIG boys! There are age restrictions on these activities and weather may have some affect on the outdoor versions. What better than brushing up on your wet weather driving skills! Definitely activities for us big kids! By that I mean adults. Age restrictions on some of these activities. Draculas Caberet Restuarant at Broadbeach. Current Show: Dracula’s Cabaret on the Gold Coast latest show is Retro Vampt from July 2016. Local RSLs and SLSC's service clubs and surf life saving clubs are great venues and often have entertainment. Don't forget your designated driver, try a wine tasting tour or hire a limo to take you around. You know pampering is definitely in the all weather activities category! Pampering is great at any time, especially when you are on holiday! Enjoy some pampering at one of the many Day Spas and Resort Spas. 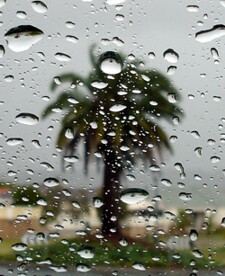 Do you have any other suggestions for things to do when it is raining on the Gold Coast? I'd love to hear of any other activities that are good on rainy days in the Gold Coast. I am always open to adding more information for visitors just like you. I hope you found this helpful. Don't forget to bookmark this page and come back for the updates.